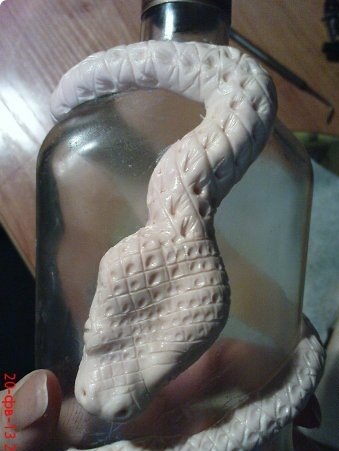 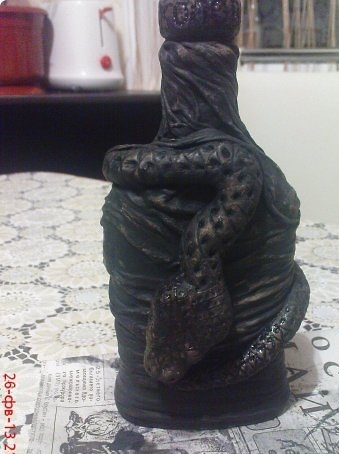 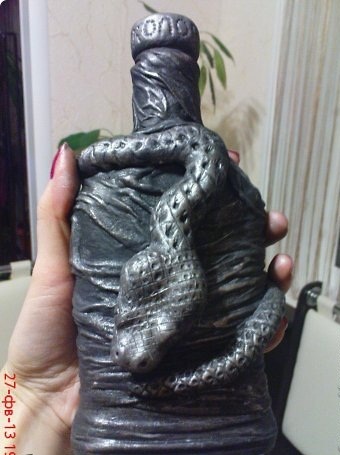 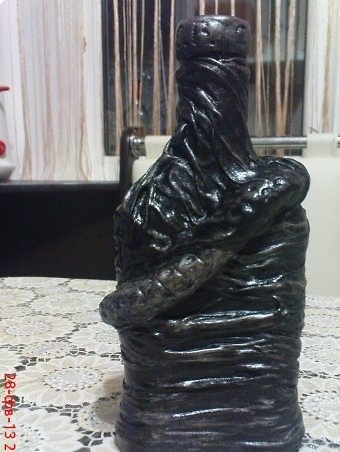 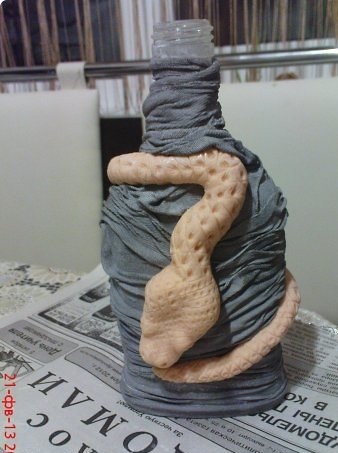 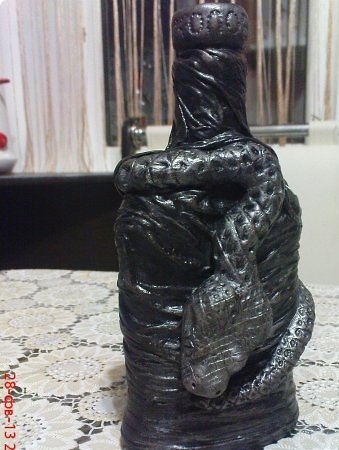 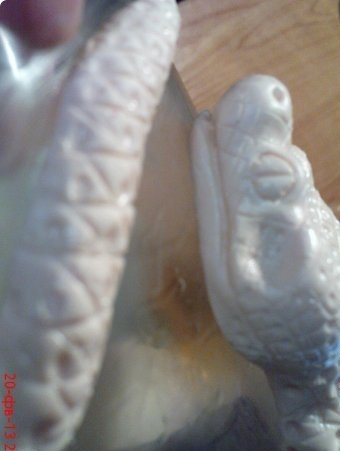 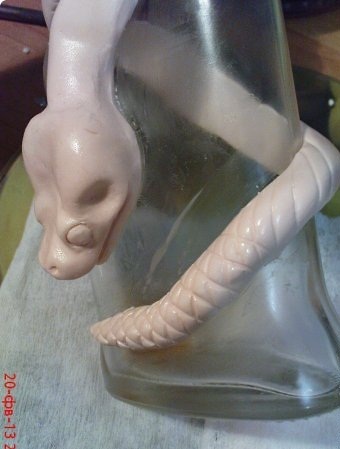 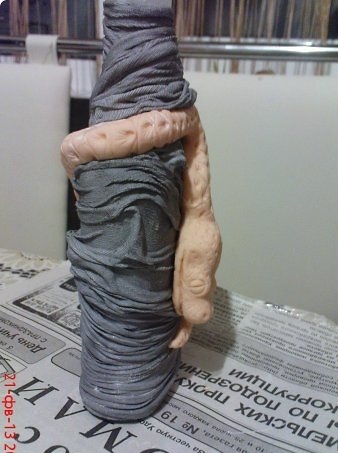 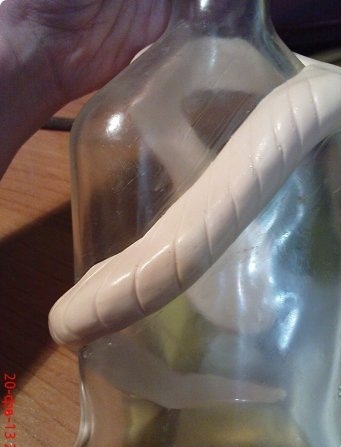 5) Then quietly removed the snake from the bottle, it was still a little soft (almost rubber) Dressed to the bottle nylon stocking oiled with white glue and then wore a serpent in place. 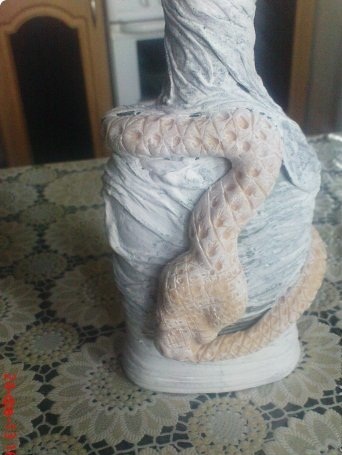 8) Caprone has imposed a snake for the strength that she kept for sure. 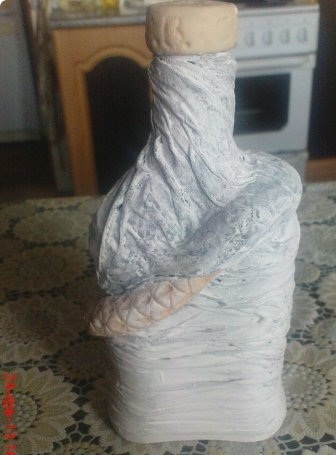 9) Later, paint with acrylic paints and gave dry.